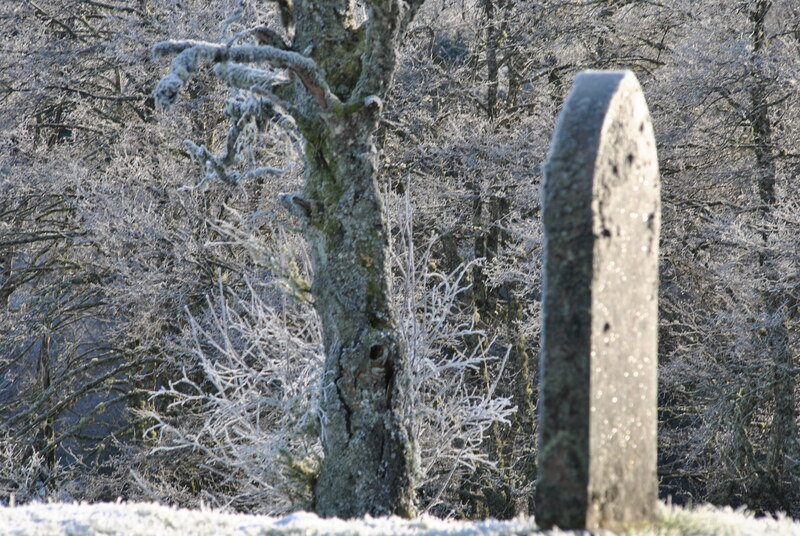 Alignment and precision are a common feature in war graves but very rarely encountered in graveyards in the Scottish Highlands. 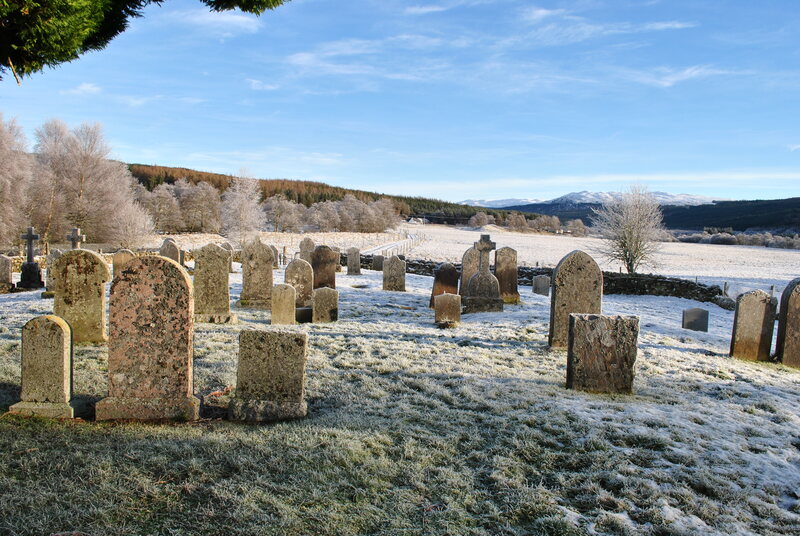 This is not true however for Dalreichart burial ground in Glenmoriston. There is a certain order to things here. 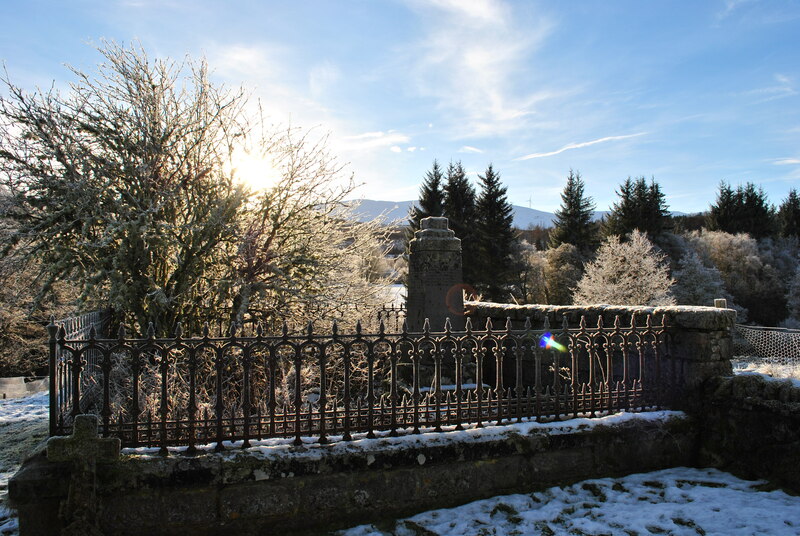 It has always been a cold part of the country where the river Moriston flows towards the Great Glen. Winter holds everything in its icy grip. 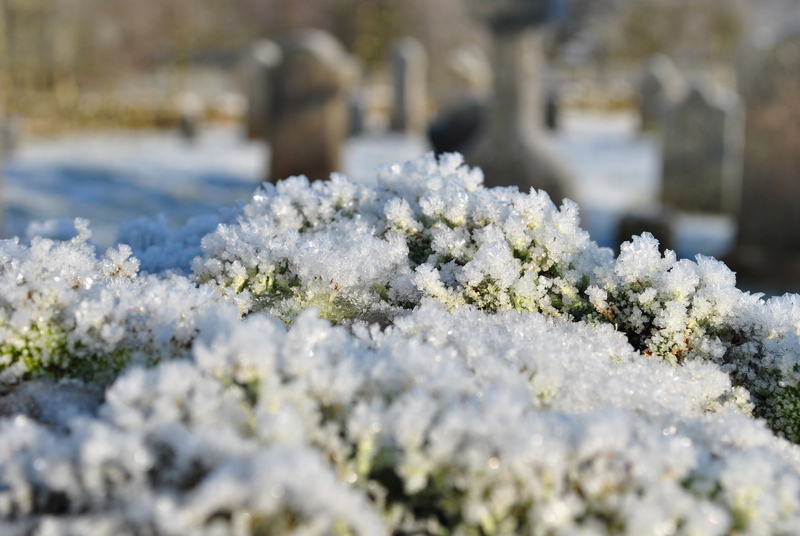 Even the gravestones are covered in crystals. 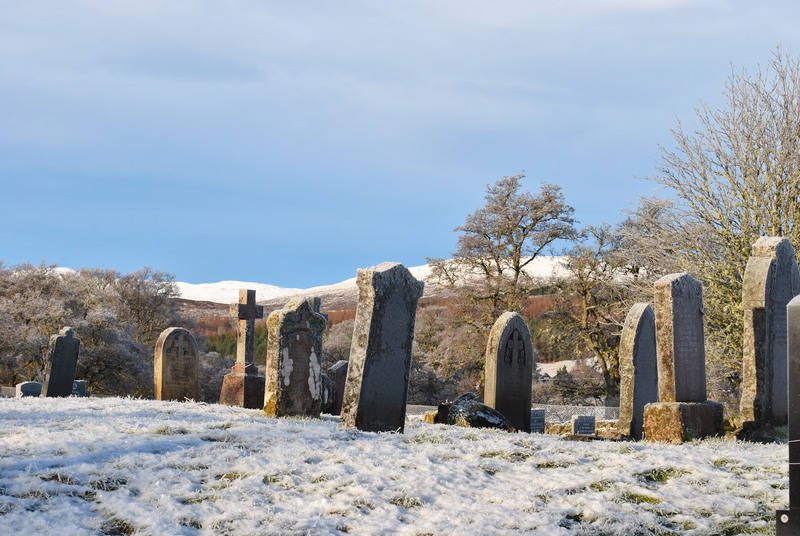 There is something different about this particular small graveyard, that is still in use: all headstones face east and so do all the corpses underneath. Quite obviously that is still the custom today. There was an exception though going back a long time in the history of the Glen where five septs of the MacDonalds lived. Four of those descended from Ian Mor Ruigh-nan-Stop, and one descended from Alasdair Choire-Dho. Those would have been easily discernible in the graveyard. 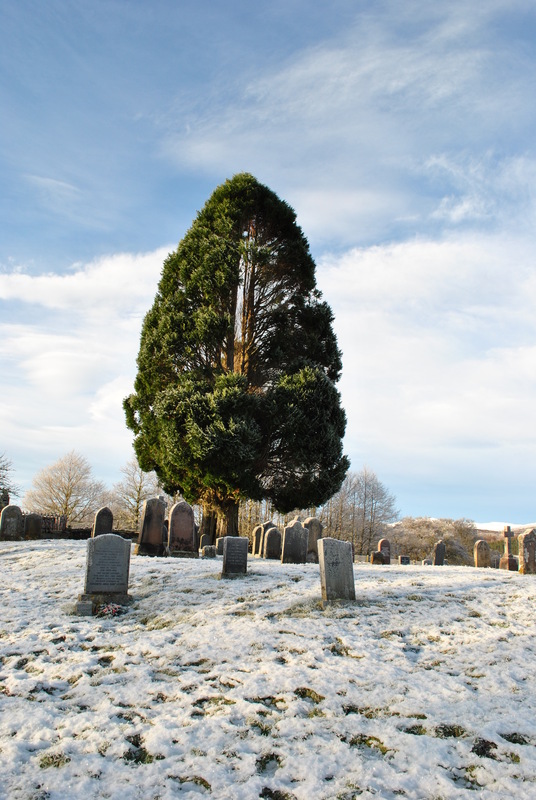 It is a rather striking feature of clan membership, family ties and blood relations even after death parts them forever. Saint Merchard or Yrchard, born of non-Christian parents in Aberdeenshire, lived around the 5th century. He was made bishop when he travelled to Rome and he served as a missionary around the Picts of early Scotland. 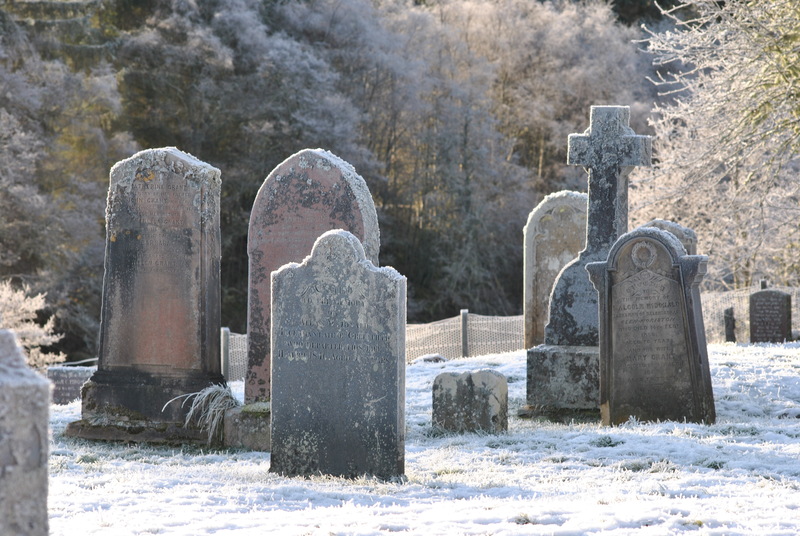 There are no clear traces of the church left in the graveyard, nor of the bell or the famous font stone, which always kept water, no matter what weather. 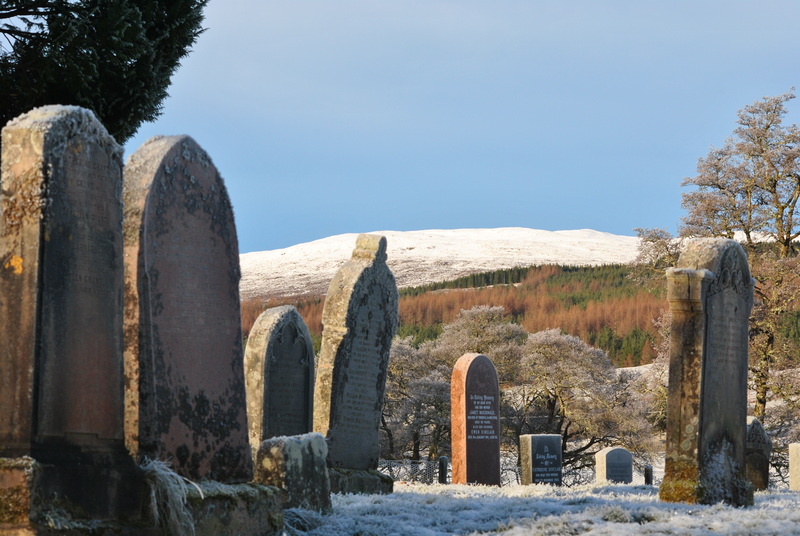 When it comes to funerals, custom and tradition are stong in Glenmoriston. Even though the bell of St Merchard is heard no more.